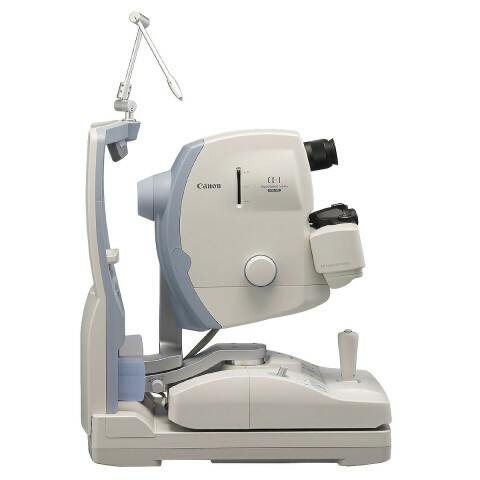 The CX-1 is Canon's first fully hybrid digital retinal camera with both mydriatic and non-mydriatic modes. With one-touch, the operator can automatically switch between mydriatic and non-mydriatic modes, effortlessly utilizing different functions within seconds and performing several concurrent ocular tests. 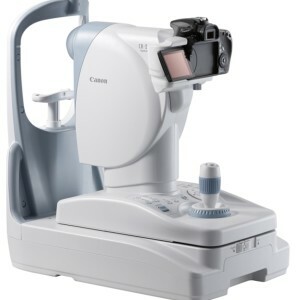 The Canon CX-1 allows the user to take one-shot FAF (Fundus Autofluorescence) photography, in a standard configuration, for both mydriatic and non-mydriatic modes. Detecting Autofluorescence of the retina is an important indication of the retina's health. Using the non-mydriatic mode not only saves time and resources, it also can make the diagnostic procedure more comfortable for the patient.